my B.O.B. - Rootberry Leaf — myblackbox co.
We were happy to introduce Jamila, owner of Rootberry Leaf through our my B.O.B. campaign on Instagram! Rootberry Leaf was also featured in our very first blackbox in March. This campaign brings awareness to Black businesses from the owner's perspective. At blackbox we believe it's important to know the vision and purpose behind a business. Through our blog, we can dig deeper into their stories and provide a fuller perspective with you! As a practicing Naturopathic Doctor, Jamila has always made teas for her patients. She has been promoting holistic, sustainable healing for the past 10 years. Leaving behind the pharmaceutical industry, Jamila saw firsthand how mother nature was mimicked, and she said why not just use mother nature! Was it easy to start your herbal tea business since you already had a patient base as a Naturopathic Doctor? It was definitely easy to blend the teas, as I started doing this very early on in my practice. It was not easy learning to “market” myself in this new way, as I strive to not constantly push product to people as a practitioner. I am learning better ways of spreading the word without showing up as a sales woman…or so I think. I am still working on that fine balance. If you had to choose one blend for a tea, which is your favorite? How did you transition out of your career as a pharmaceutical chemist to becoming a Naturopathic Doctor? I was DONE! Don’t get me wrong, I absolutely loved being in the lab as it is therapeutic in its own right, but I had the strong urge to get in front of the disease process. Pharmaceuticals treat the illness, while Naturopathic Medicine is about the prevention, the innate healing and getting to the root cause of dis-ease. What would you say to those who may be interested in incorporating more tea into their diets? Don’t wait! Try it hot, then iced and then hot again before you dismiss it. I started RootBerryLeaf because many of my patients couldn’t even tolerate the caffeine in black tea, therefore I wanted to introduce herbal (caffeine-free) blends that allowed you to participate in the healing and relaxing ritual of tea preparation. Steeping a pot of tea is medicine in itself. Sip your medicine! We want to thank Jamila for sharing more about her story of Rootberry Leaf. 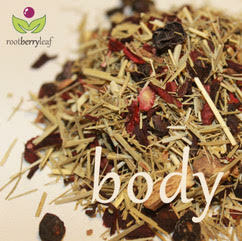 We are pleased to share that Rootberry Leaf is offering 15% off ALL orders by using code: BLACKBOX at checkout. Newer PostFrom the Founders: Together We Support Black Business!